I’ve just received my purchase, thank you. 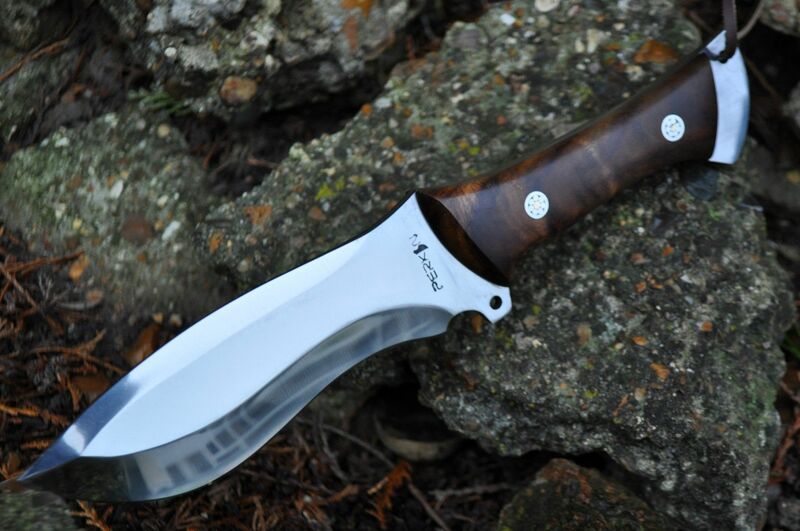 An absolutely stunning knife in every respect. The scales are beautifully made, and such a good fit on the tang, I could hardly “feel” the join with a fingernail. 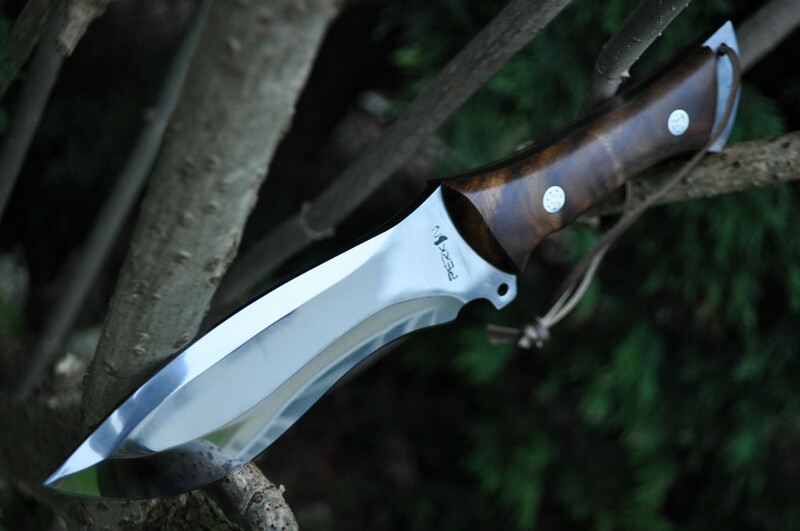 The blade is very sharp indeed, full tang, and mirror-finish polished over the full length. 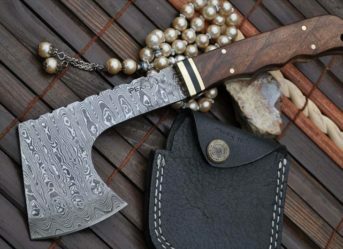 A minor “issue” – whilst having been sharpened to near perfection, there were some small residual burrs over about one inch of the blade (mid length). 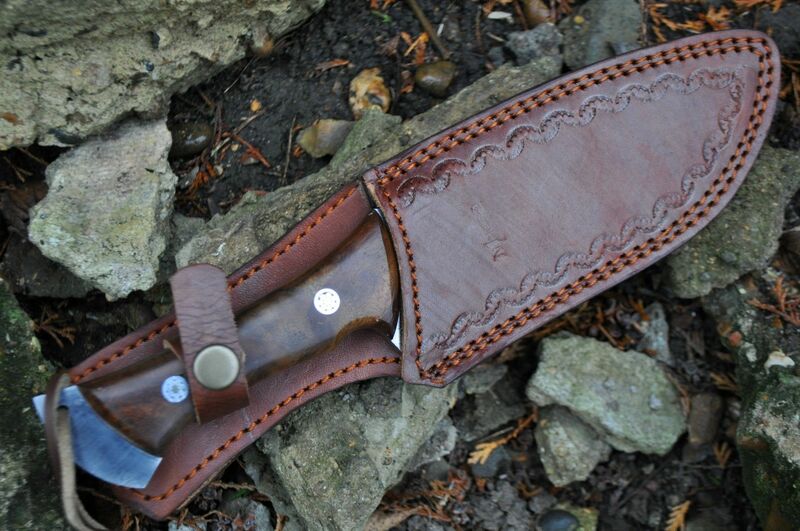 A quick wipe on a fine stone, and leather strop, took seconds (which I would have done anyway!). 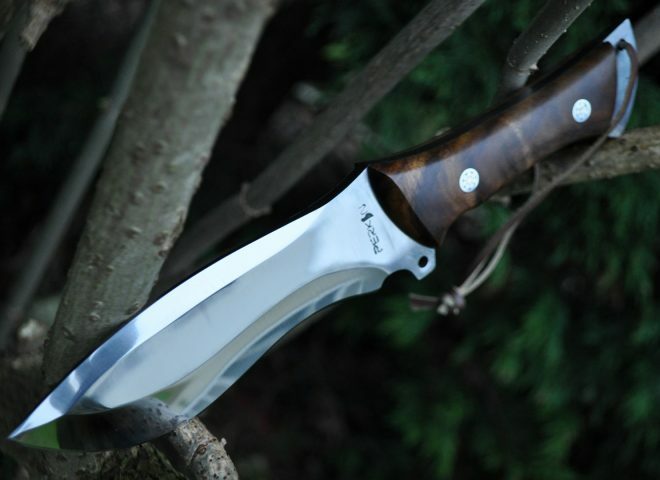 The point of balance is precisely where the scales end, making the knife extremely easy to hold and to use. 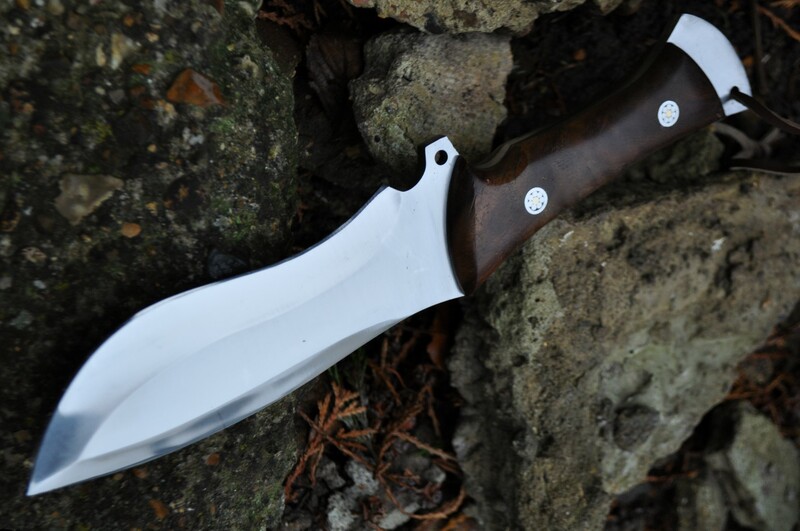 With regard to the overall design, the knife looks, feels and IS extremely robust. 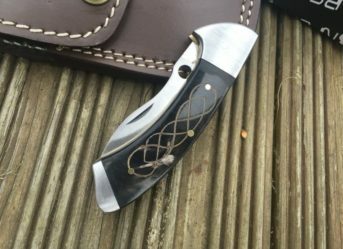 The only “glitch” I encountered was at the “pommel” – whist beautifully machined and polished, the corners (particularly the corners closest to the lanyard hole”) are quite sharp; a minor observation , and I’ll be rounding mine off a bit with a file. I have large hands, so can “feel” the sharpness where smaller hands wouldn’t. 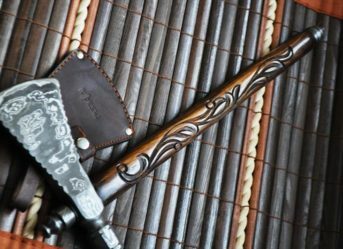 The sheath is well made (though mine was black – in the photograph on the site it was brown – but not an issue to me”, as it’s as robust a design as I’ll ever need) . 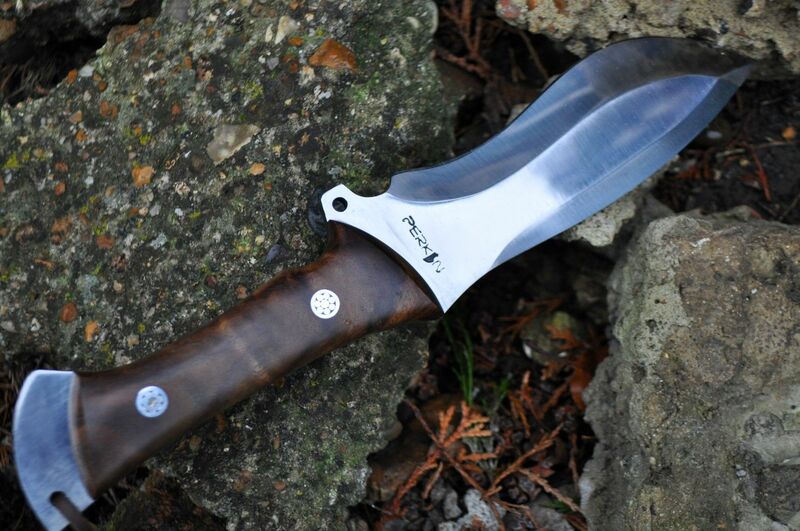 This has been my first purchase from Perkin Knives – but certainly not my last…. 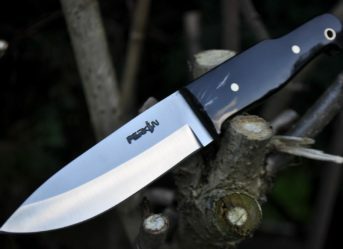 A fabulous knife of the finest quality , beautifully balanced / razor sharp straight out of the box . You won’t find better anywhere.